36" hose with 1/8" NPTF threads and spring guard. (For hand operated grease guns only). Hoses are made from flexible thermoplastic which prevents cracking or breaking. 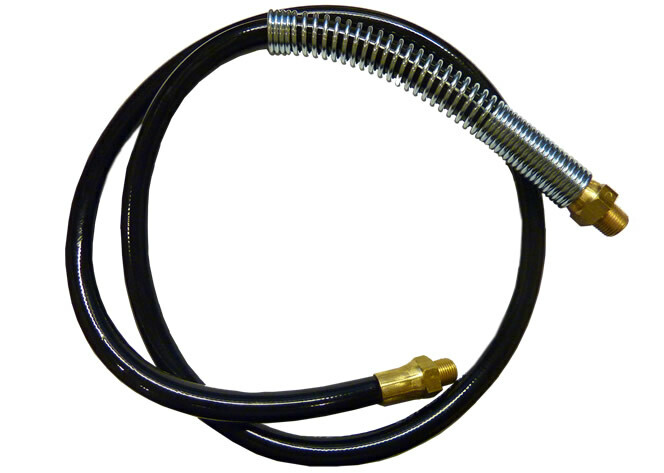 Hose includes a heavy duty spring guard that imparts rigidity to the hose end allowing convenience in fitment. Hose ends are Zinc plated steel. Made in The USA. Working Pressure = 4,500 PSI. Burst Pressure = 18,000 PSI.